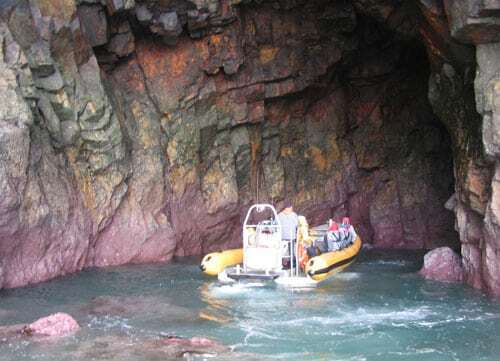 Born in New Zealand the water-jet drives set new standards for adventure, taking on fast flowing rivers and rocky canyons. 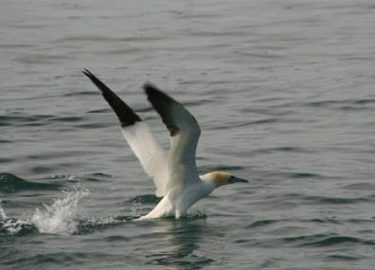 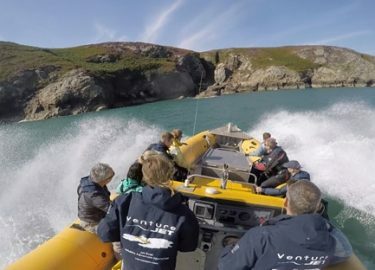 Jets draw in water and drive it out under pressure, creating the jet stream - awesome fun, safe enough for seals to play in. 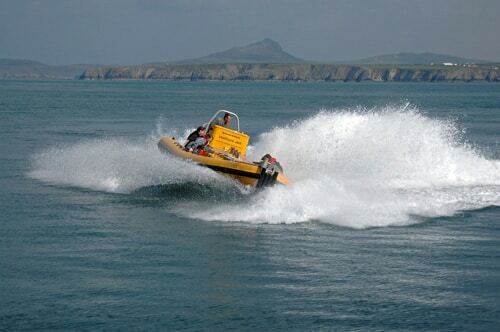 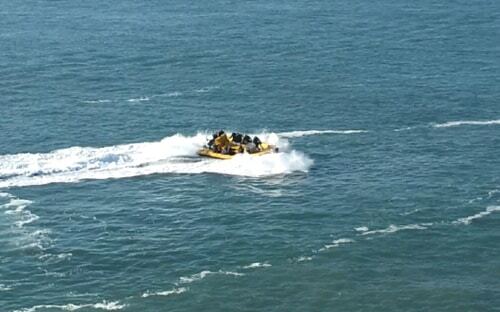 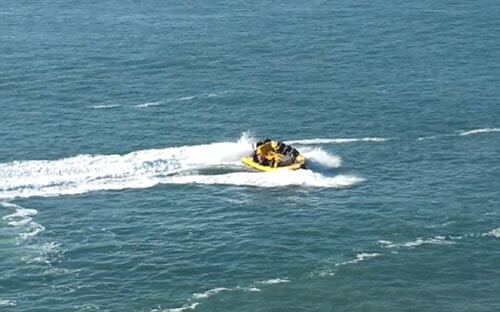 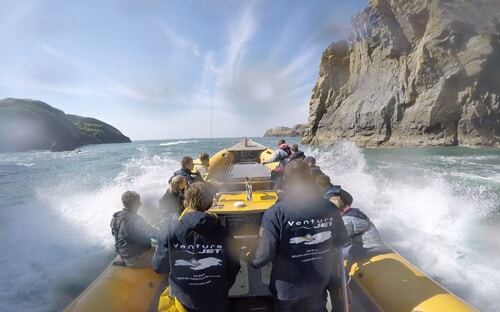 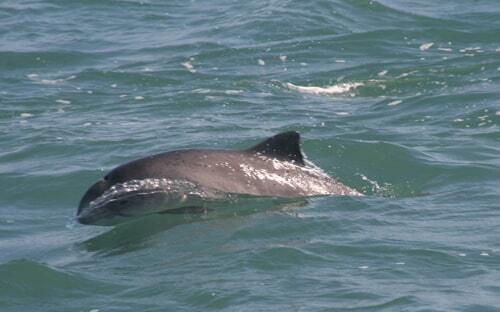 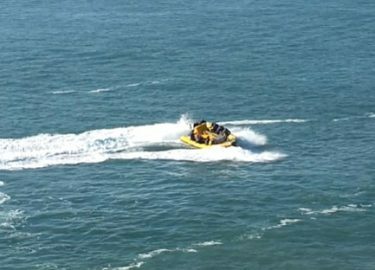 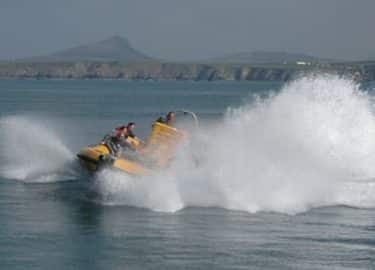 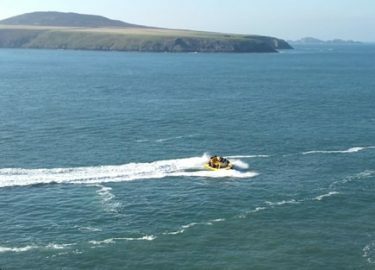 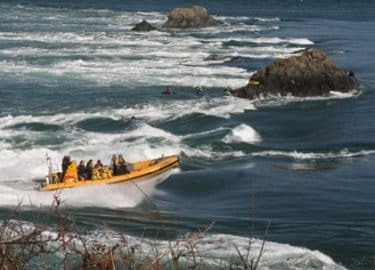 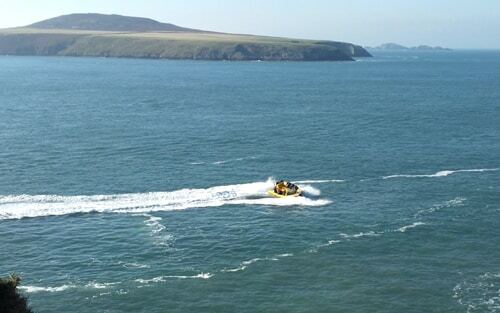 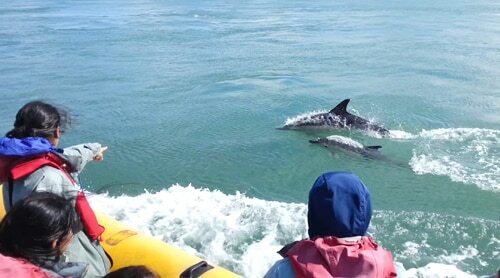 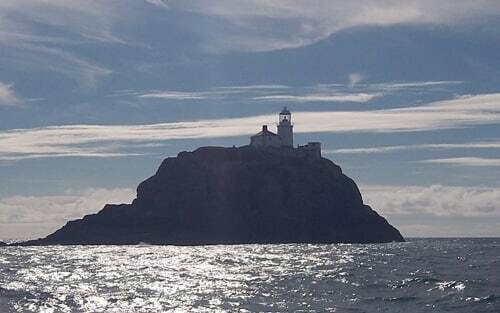 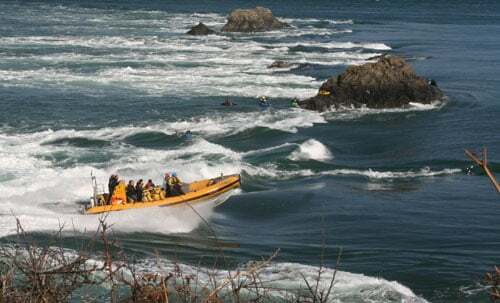 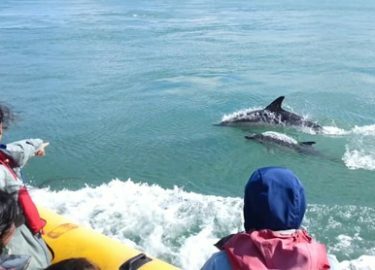 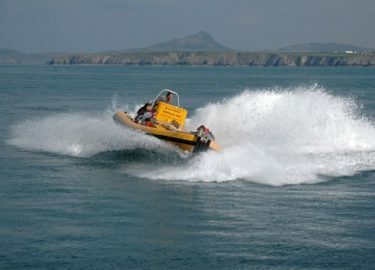 We operate the only New Zealand jet RIB in West Wales. 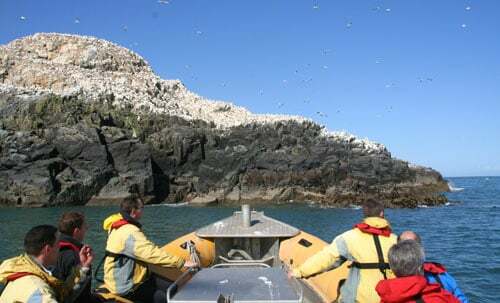 Early booking is advisable to ensure the trip and time of your choice. 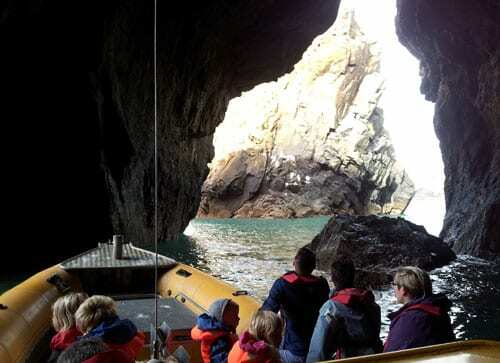 Created by passenger demand, our most popular trip ever since. 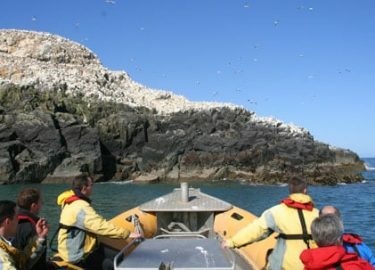 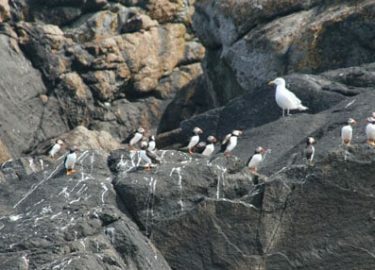 Our unique blend of wildlife watching and fun with the jet. 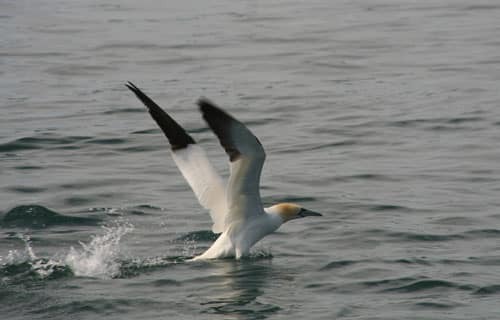 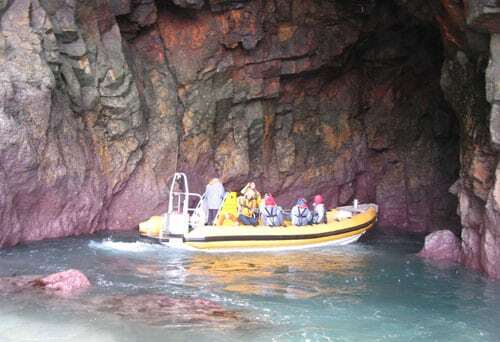 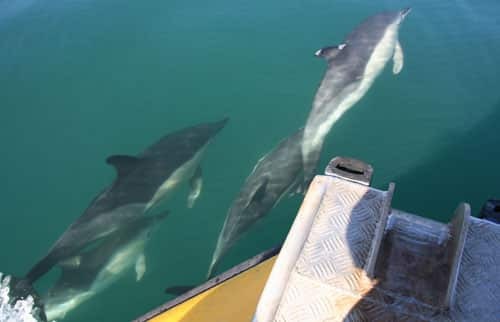 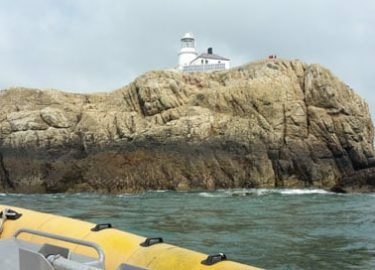 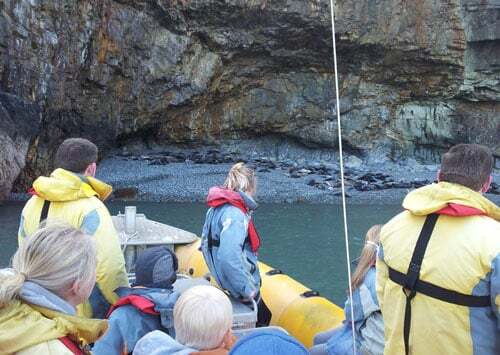 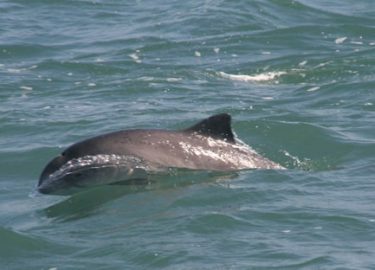 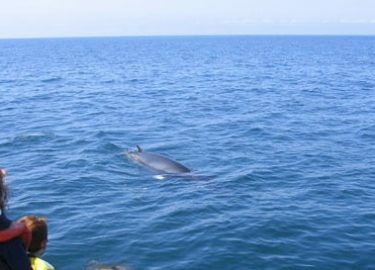 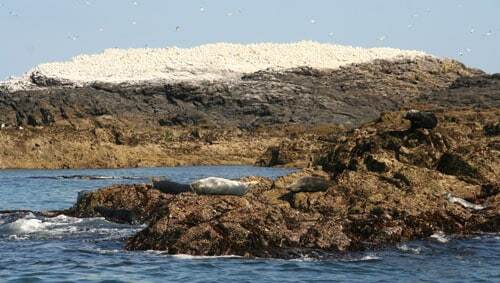 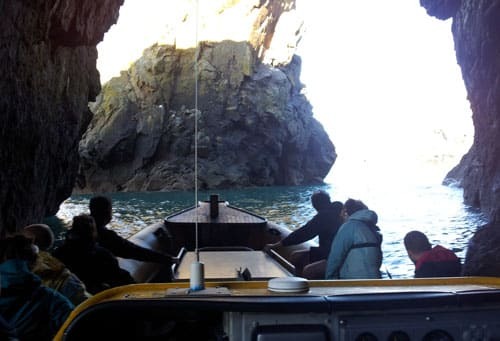 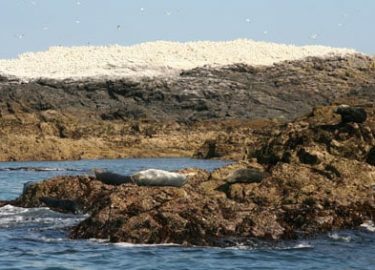 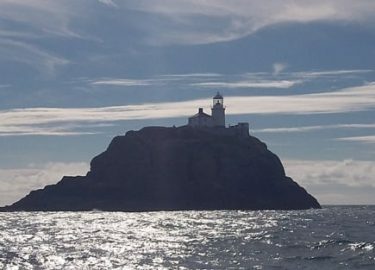 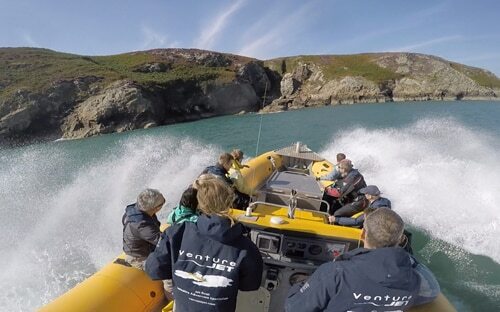 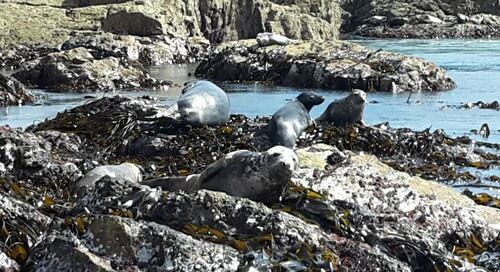 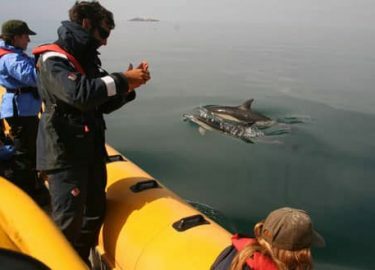 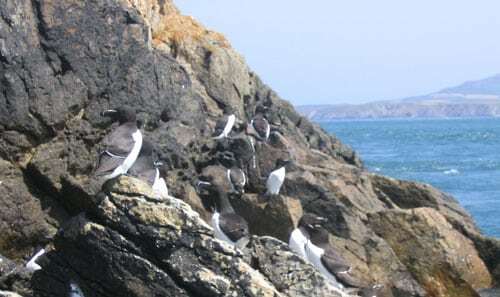 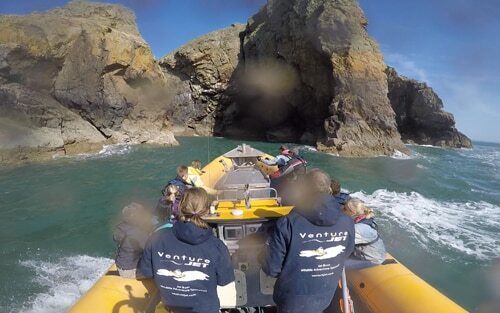 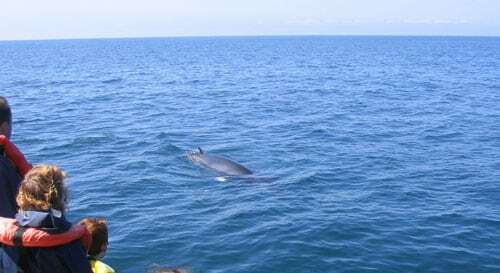 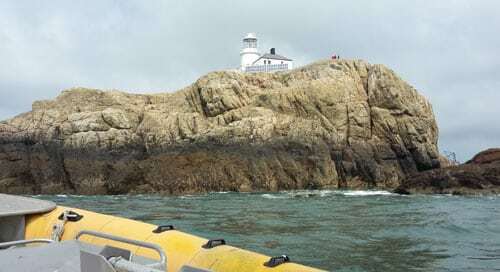 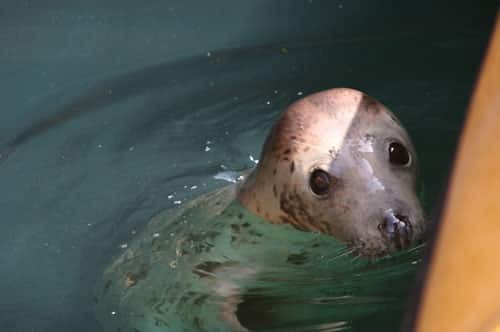 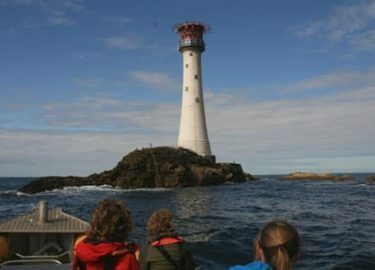 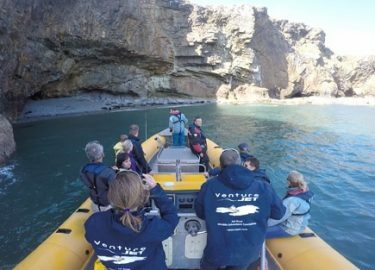 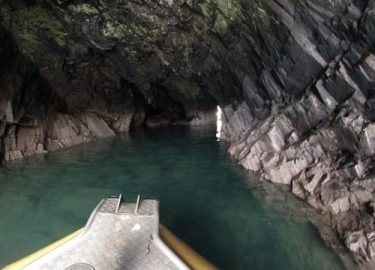 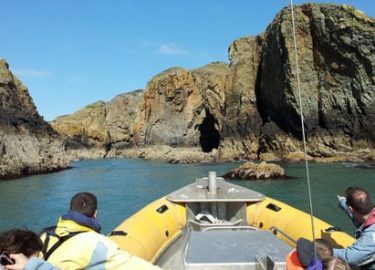 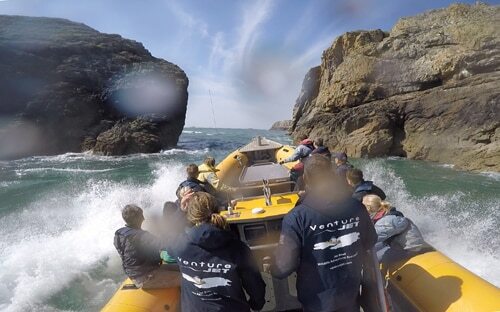 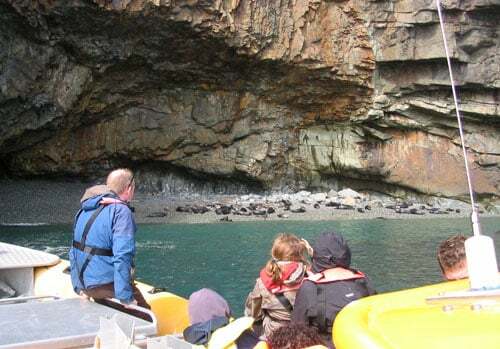 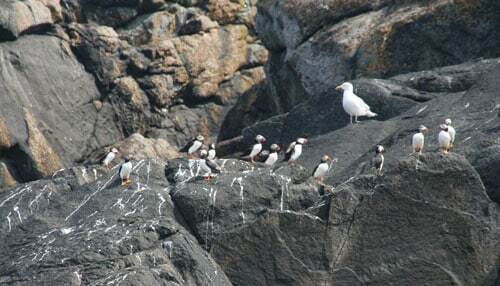 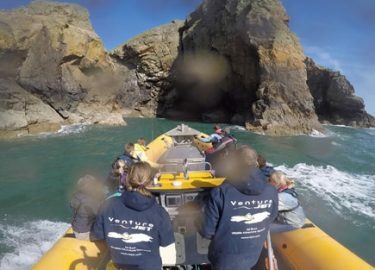 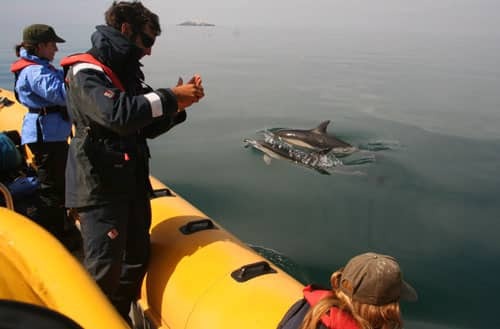 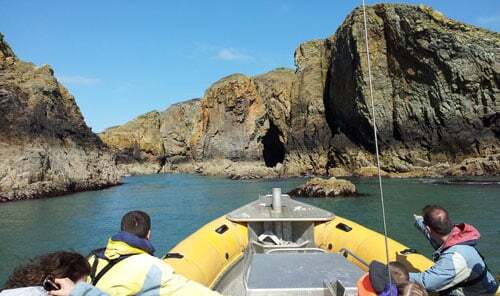 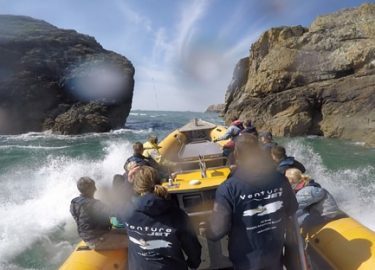 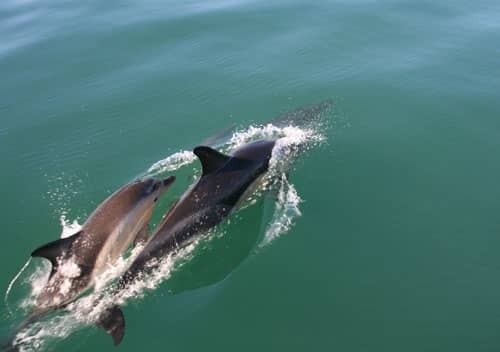 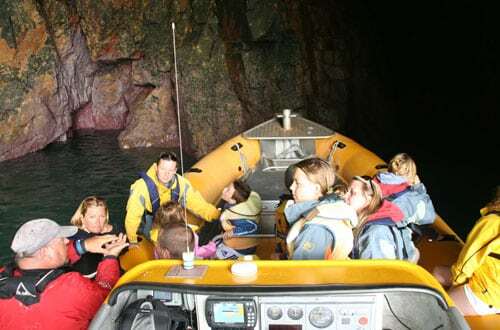 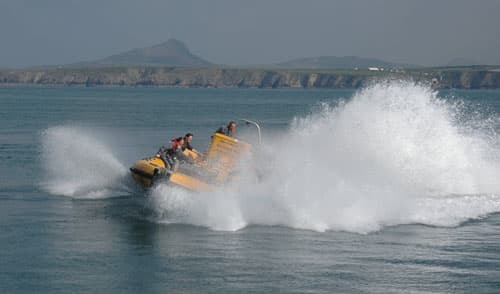 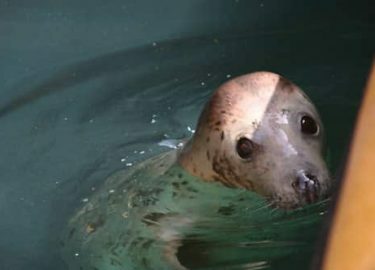 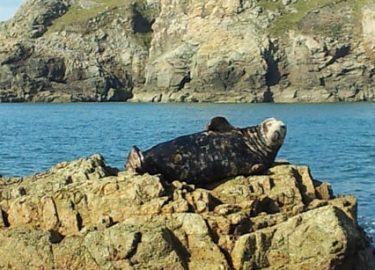 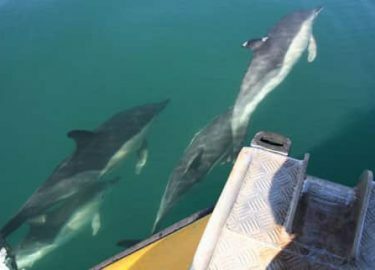 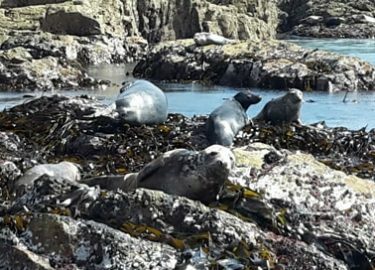 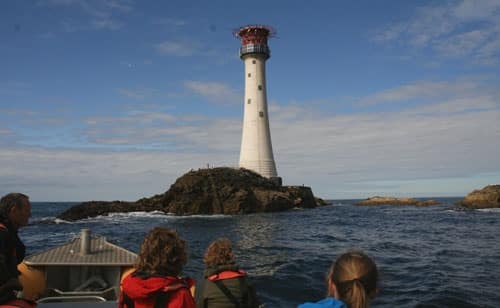 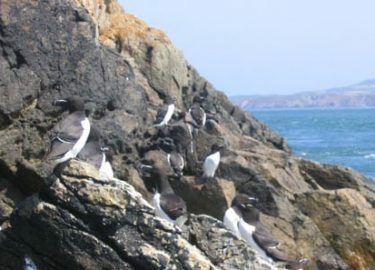 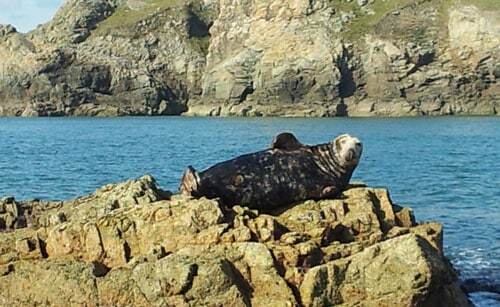 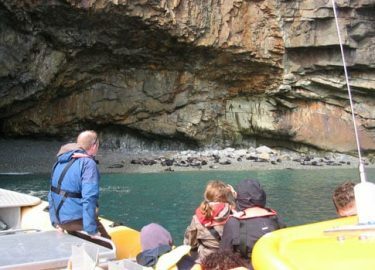 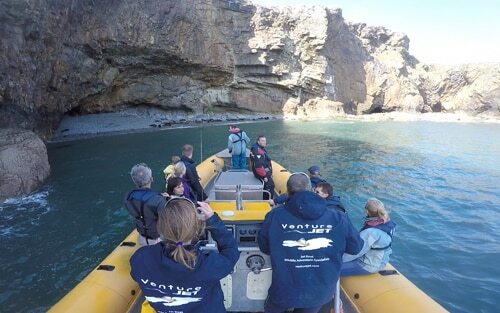 Enjoy the best of Ramsey Island's wildlife - seals, porpoises, seabirds - explore the dark sea caverns, then head out to open water to experience what makes our jet powered RIB so special: 360° steering, power-braking, awesome buoyancy. 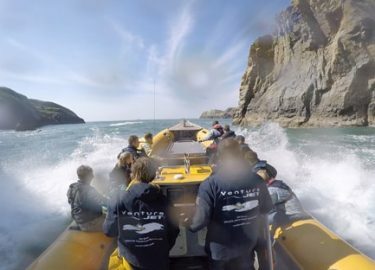 A wildlife and adventure activity in one. 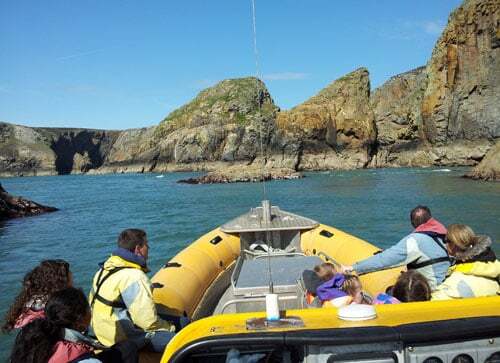 Please call us on +44 (0)1348 837764 and we will be happy to discuss which trip would be most suitable given your interests and the prevailing forecast. 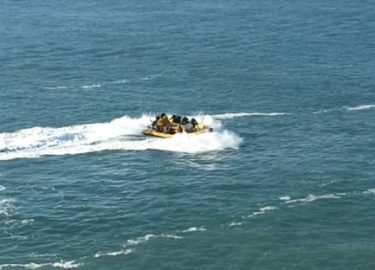 From 2 hours to half-day. 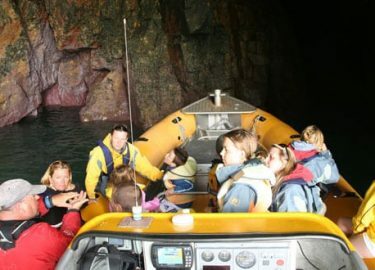 For reasons of safety, young people under 14 must be accompanied by an adult. 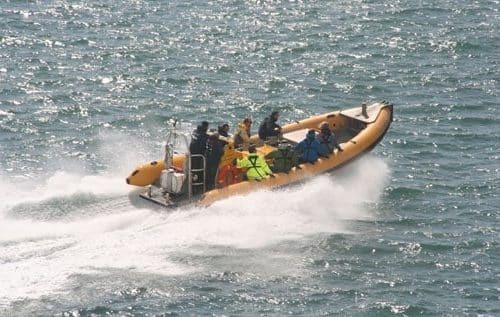 For business purposes we define 'child' as persons under 14.